Microchip offers a broad range of "power-supply enabled/specific" microcontrollers and supporting power devices. While Traditional power supply designs use analog ICs with fixed functionality to provide regulated power, the Intelligent Power Supply integrates a PIC® Microcontroller (MCU) or dsPIC® Digital Signal Controller (DSC) for a fully programmable and flexible solution. Using digital control to implement power conversion functions, developers can realize many benefits for their design and business. 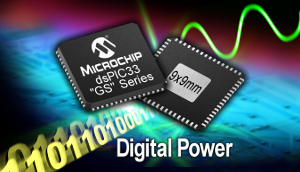 These are enabled by the ability to perform the power conversion control via reprogrammable software and the performance and features of our PIC MCU and dsPIC DSC solutions.